I received a Facebook message from one of the members of the Inspired Birth Pros group recently to ask me for some advice. I offered a couple of suggestions, but I also mentioned that it was a great question to post in the group. Her reply made my heart sink. She said that she was hesitant to post to the group because there were birth pros from her community in the Facebook group and she was nervous about the potential blowback from those women who were doing what they could to paint a negative picture of her to expectant mamas. I'm not a stranger to being an outlier - I've been one my whole life - I don't follow the crowd and inevitably draw attention to myself just by doing things a little differently than others. 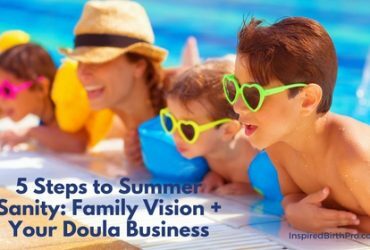 When I became a doula, I chose a training organization that was different from the majority of doulas in my community. When I became a childbirth educator I was the only one in my community teaching that method. There was a birth pro who couldn't keep her nose out of my business - as in calling me every few months and straight out asking me how good business was. This was someone who had been a part of the birth community for years, and I felt bullied, even though she always spoke sweetly to my face. I couldn't understand how I could possibly be a threat, but at the time I felt I was, and I wavered between feeling confident and insecure. I didn't stop birth work because of her, but her popping in and out of my consciousness wasn't helping me emotionally faced with what I was at the time. So this situation with the woman who contacted me ruffled my feathers. Mama Bear kinda kicked in. Then I had to take a few days to get my bearings so I could share this with you. This is not the first time I've heard about new birth pros feeling shut out in their communities. Oftentimes it happens when they train with an organization that is different from the people who are shunning them. Sometimes it appears to be a situation of the "Good 'ol boys," where outsiders have a difficult time entering the inner circle. I'm sure there are any number of reasons why some feel others are a threat. 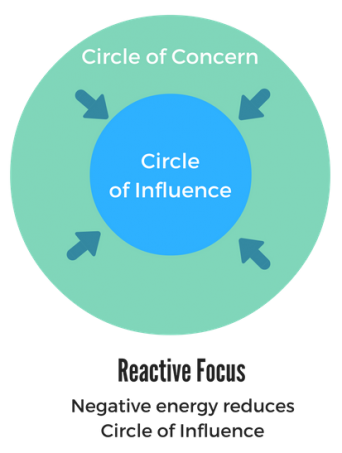 You sit in the middle of the blue circle, the Circle of Influence. This is where your knowledge and desire to serve comes from. The Circle of Concern is all the noise happening around you. It's all the things happening in the bigger birth world that you can't control. It's other people's opinions that you might believe matter. It's your perception of what others may think of you. It's what's going on in the news and the bills that are piling up on the kitchen table. The more you focus on and try to take action on all that noise in the Circle of Concern, the smaller your Circle of Influence becomes. These distractions can affect you moving forward with your business and keeping you from doing what you want to do. You have a purpose to live out and a legacy to create. You are meant to serve women and families. You are meant to make a dent in this crusade to make birth better for all women so they can have their babies in a safe, respectful way. When you focus on what you need to do - get your business up and running, network with supportive professionals in your community, do events where you can meet expectant mamas, share your message and wisdom... This is what it means to work within your Circle of Influence. It's what you can control, it makes you feel good, and it blocks out the noise in that Circle of Concern. As much as some people like to believe there's a finite amount of business, there's really not. There will always be a new group of pregnant women who may want a childbirth class, a birth or postpartum doula. Each woman has her own beliefs, values, and ideas about how she wants to approach her pregnancy, birth, and parenting, and thank GOODNESS there are birth professionals who also have different values, beliefs and ideas, and that they are not cookie-cutter replicas of one another. There is a perfect client for you, just as there is a perfect birth pro for any woman. Instead of worrying about what others are doing, wondering whether they are stealing your clients or actively trying to blackball you who is trying to feed your family, DO YOU. Who can YOU serve and how can you give them the best experience possible? Who can you WORK with in your community to help grow BOTH of your businesses. Remember this - the people who do the same work you do aren't your competitors. They are people who you can refer out to when you're booked or a client isn't a good fit, and they can refer to you too for the same reasons. Remember that you are meant to serve and have a thriving business. If you are on the receiving end of bad juju, find support from other small business owners, whether it's other birth pros, professionals who work with women in complementary professions, or people in completely different fields. 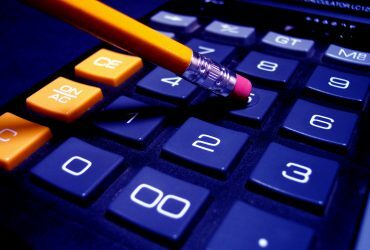 There are typically a variety of small business groups, online or locally, who you can learn from. Join online groups. Get a business coach who is 100% your biggest fan and who is invested in your success. Set goals for yourself and use those as your road map to keep you moving forward. Don't give power to the others, just keep your focus on what you're building. If you are giving the bad juju, ask yourself what you're trying to accomplish. Who is really benefiting from this behavior? What if the person that you're trying to throw under the bus is actually someone who would be awesome to work with? Is doing this truly having the effect you're looking for? Because honestly, other people notice, and it is very likely you're turning off expectant mamas and fellow birth pros because of your attitude and behavior. What happens in your life is a direct result of the focus you're practicing. If you are focusing on other people's success, you can't access that success for yourself. Tune into the frequency you want to attract into your own life and you'll start to see things moving in your favor. What a great article ! I am maternal child health professional working in obstetrics and women's health for over 25 years. As a old timer doula of 20 plus years I was doing doula work before the word doula was a part of childbirth language. I have seen new doulas treated coldly and even experienced doulas treated badly by new hip doula groups on line and in person and the territorial issues can be intense. I know doulas old and new worry about getting busy or staying busy but when I took trainning a million years ago something important thing stuck in my head……. there are pleanty of potential clients out there and the ones that "need" what you have to offer will find you……. and they will tell others. It's hard to be patient when starting out and we need to help the ones coming up. There is so much more to it than cranking out births……..joining groups and being such a business that the real focus is forgotten. Wow I do sound like a old timer. Thanks for your comment, Robin. I trained 11 years ago and have also seen this shift in the past five years ago. I think on some level the competitiveness and bullying have always been there, but I agree that the scarcity mindset seems to be more intense, and there are lots of really strong opinions among the different training organizations and I see people frequently being shut down on certain online groups. I think it's possible to have a thriving business while supporting others. Sometimes it does feel a lot more cut-throat now. Thank you so much for posting this, Darlene. I am a new postpartum doula, just starting my own business. 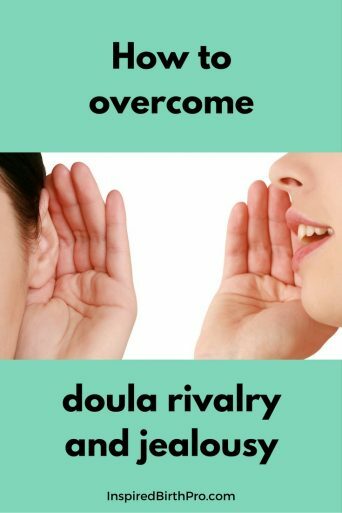 When I began to reach out to some doulas and doula networks in the area, I experienced hesitation and outright dismissal as their competition. I was disheartened, as this is a business that is about supporting other women. 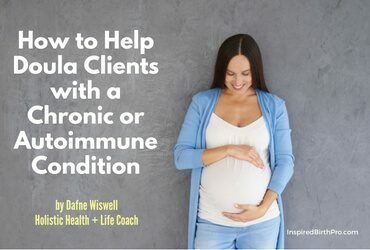 When we run our businesses with a closed mindset, believing there is only so much business to go around or that other doulas are only the competition, we are missing out. Other doulas are our colleagues and deserve to be treated with the same respect we are all looking for. Networking is not only about bringing in clients. When we reach out into our communities in a positive way, we are presenting ourselves on that stage to potential clients, colleagues, references, resources, and the list goes on. Presenting a professional image does not end with our clients. There is a whole world of possibilities out there, and I encourage others to reach out, to be open, and to be welcoming of others. I'm sorry that you have faced this sort of treatment. It is unfortunate that this behavior persists and I hope that you find other mother-baby professionals who are supportive of your skills and services.